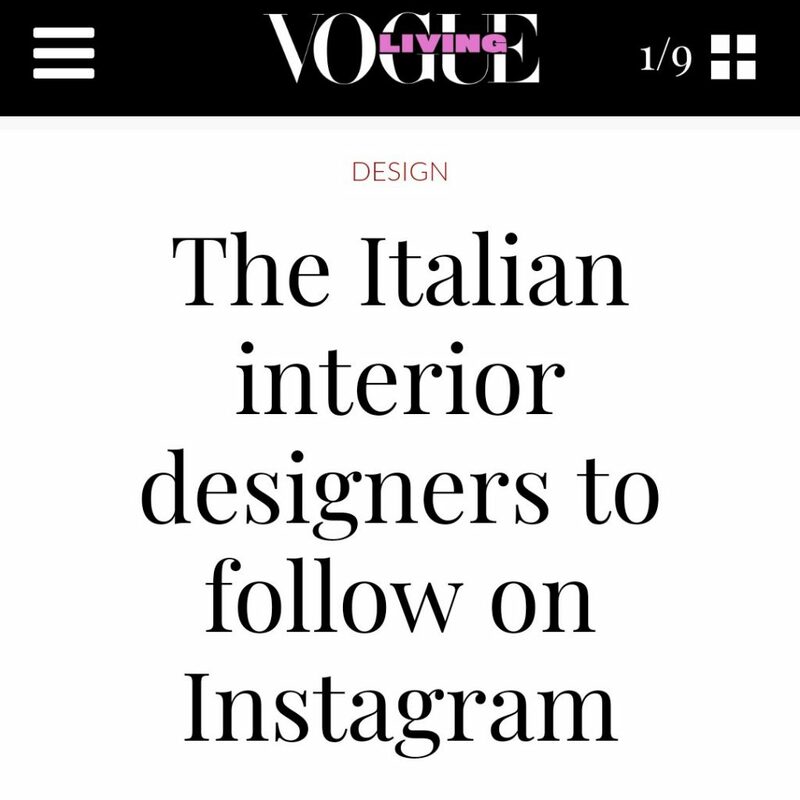 Like every year, the Houzz Community, made up of over 40 million unique monthly users, decrees the most appreciated and popular Italian professionals in the home sector. 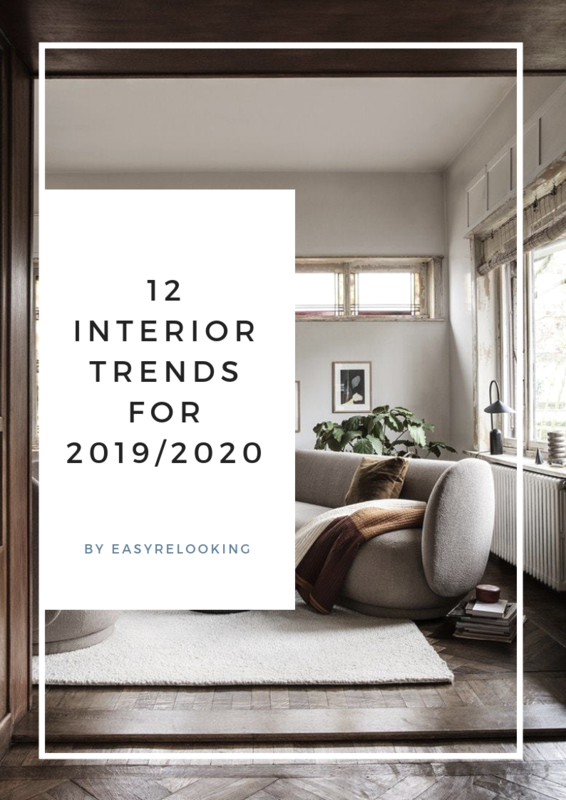 Easy Relooking in 2017 has received positive reviews from the customers with whom it has collaborated and also for this year I received the Best of Houzz 2018! 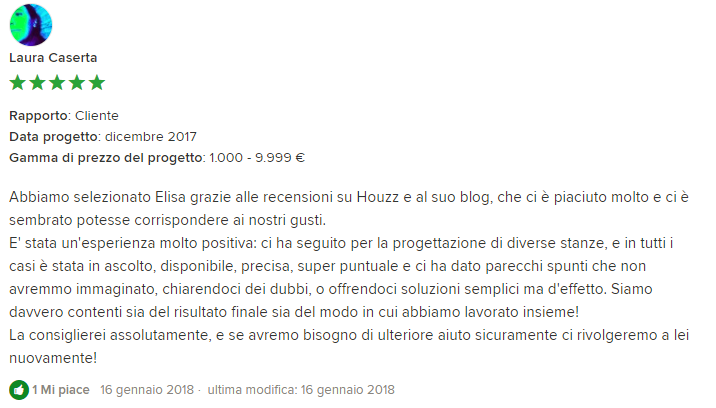 “We are pleased to reward professionals and companies that excel at the platform with the Best of Houzz 2018,” says Silvia Foglia, Operations Manager at Houzz Italia. 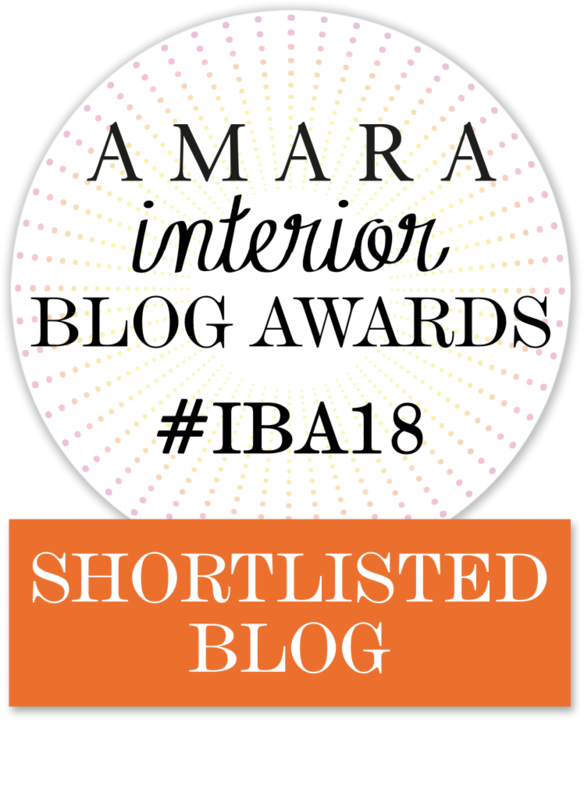 “This is a recognition in the name of our entire international community of home owners and design enthusiasts, assigned to talented and competent professionals who in 2017 helped them to make the home of their dreams”. In 2017, in this interview organized by Houzz Italia, I explained, together with other professionals, the value that Houzz has for this work. 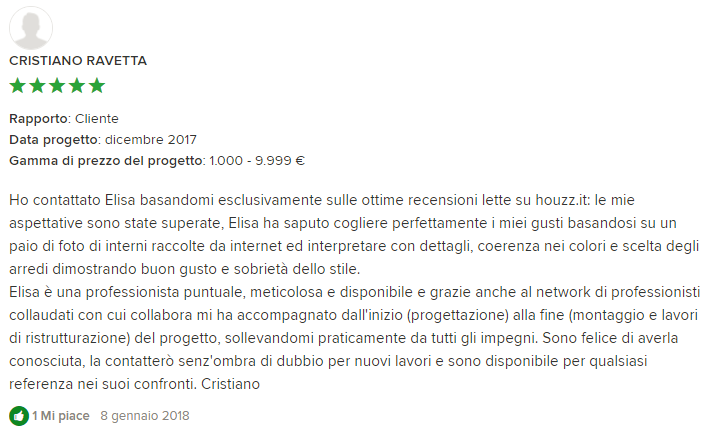 I report some of the latest reviews received (unfortunately available only in italian)! You can read them all on my Houzz profile.